If there’s one designer I can always find something every I time pop in their store, it is without a doubt Rebecca Taylor. 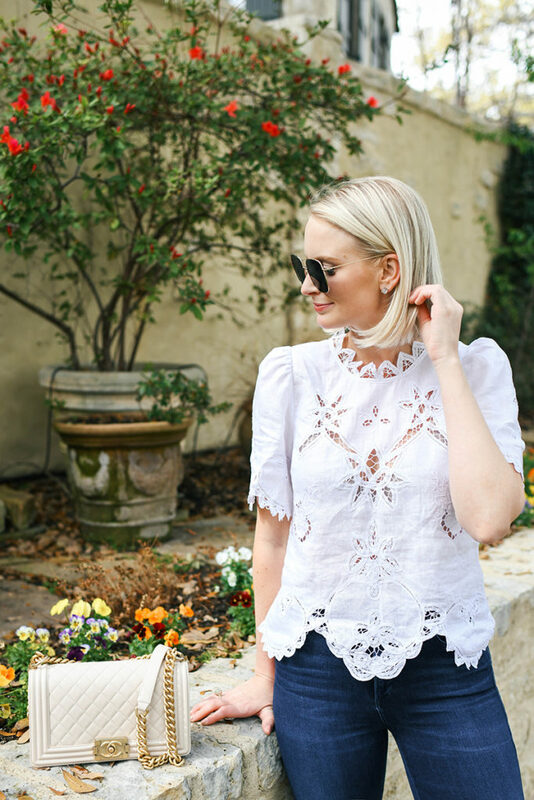 From ethereal embroidered blouses to feminine, floral sundresses, the Rebecca Taylor aesthetic is very me. While some of the minidresses and sweaters can sometimes be too short or short-waisted on me, I always find success with their knee length and midi dresses and elegant blouses. So many pretty pieces this time of year! I really wanted this eyelet cami, but they didn’t have my size in the store. Thinking I may order it online! This iris blue midi dress is absolutely stunning! Great piece for a dressy date night or more casual wedding. One thing I did buy? This red floral midi – it’s such a flattering neckline and fun, punchy color scheme for summer! 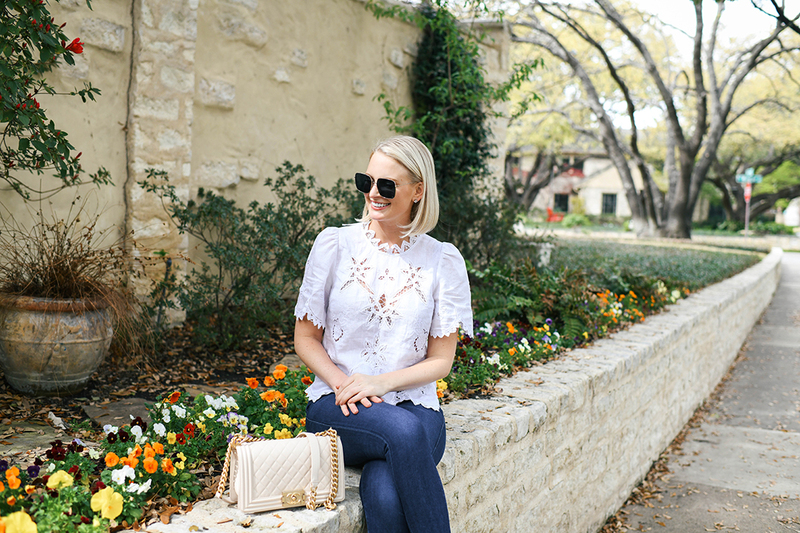 Another gorgeous eyelet blouse is this style. A total statement staple! Loving the delicate green floral print on this ruffled wrap dress. A versatile style you could wear to church, work, Saturday brunch or dinner! This cutie can be worn on or off the shoulder! A fresh blue + white piece for summer. Speaking of blue and white, don’t miss this lace-trimmed midi dress. Fab!